Need something to do this spring and summer? Look no further than the Park! Winchester's Assistant Director of Parks & Recreation Matt Little details upcoming park programs, camps, activities, pool schedules, rec classes, and more. Also in this episode: City Manager Eden Freeman delivers her quarterly update during State of the City; "Tim Y the History Guy" takes us back to the origin of Apple Blossom; and host Barry Lee lists upcoming events and programs. The south end of the Loudoun Street Mall has new artwork!! Enjoy the new bollard utility cabinet wrap with a 275th anniversary theme. North end cabinet will be wrapped later this afternoon!! Check out today's issue of CitE-News for important Apple Blossom Festival information and current local news. Stay informed. The 2019 Old Town ArtScape banners have been installed on the Loudoun Street Mall. Stop by and view all the beautiful artwork on display! We're not surprised. Winchester is awesome!! The City Council agendas for the April 23 meetings are available online: http://winchesterva.iqm2.com/Citizens/Default.aspx. Watch in person, online (at above link) or on cable channel 6. Regular meeting starts at 6 pm with Work Session immediately following. The City Manager's Week In Review report for week ending April 19, 2019 is now available online: www.winchesterva.gov/week-review. A Tornado Watch has been issued for our area until 12 am. 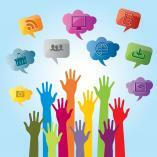 Monitor the news and take precautions to stay safe. Tornado watch means that conditions are favorable for a tornado to occur. A warning means that a tornado has been seen or picked up by radar. The National Weather Service has issued a “Flash Flood Watch” for our area from approximately noon today through late tonight. A storm tracking north/northeast from the Gulf of Mexico is bringing heavy rains that could exceed 3 inches locally. Additionally, thunderstorms are possible during this time period with winds to be 10 to 14 mph gusting to 23 mph. Anyone interested in dressing up as any of the following Winchester historical figures and walk in the Apple Blossom Grand Feature Parade (in honor of the 275th anniversary this year): Spottswood Poles (baseball jersey provided), young George Washington (costume provided), WWI navy veteran, John Kirby, Admiral Byrd? Contact the Historical Society to express your interest: https://winchesterhistory.org/contact-us/. 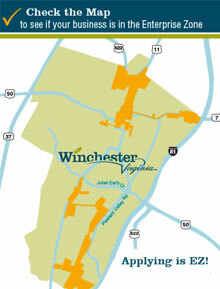 Today's issue of CitE-News, the City of Winchester's electronic newsletter, is here! Check it out and stay informed. Couldn’t have picked a better day to film the next episode of publiCITY, released next Wednesday, April 24. Tune in to learn about the downtown infrastructure improvement projects from Perry Eisenach, Director of Public Services! Road closure for repaving: Opequon Avenue between Cork and Leicester Streets on Wednesday, April 17 from 7 am-6 pm. Residents will be allowed access as needed. Thank you for your patience. 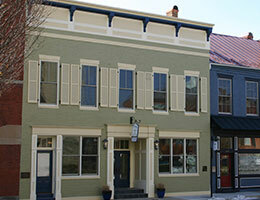 The City Manager's Week In Review report for week ending April 12, 2019 is now available online: www.winchesterva.gov/week-review. The National Weather Service has issued a “High Wind Advisory” for the Winchester area for most of the day today. While the precipitation predictions are low, the ground is already saturated and can cause downed trees and powerlines with the combination of the winds. 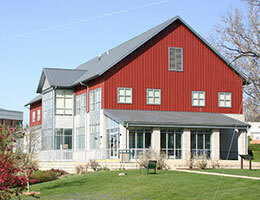 WincVAgov: Winchester Parks &amp;amp; Recreation&#039;s annual Eggcessible event is W, 4/10 (10am) at the Jim Barnett Park gym. Eggcessible is the area&#039;s only Easter Egg Hunt for children with special needs. The Easter Bunny will also be there. FREE! WincVAgov: We&#039;re hiring! Utility Service Mechanic I https://t.co/Qjfv3LVjTr @GovernmentJobs. Apply today. WincVAgov: Snow Plan B/A have been deactivated.